Henri Poincare – French mathematician, theoretical physicist, engineer, and philosopher of science. A French mathematician, one of the greatest mathematicians and mathematical physicists at the end of 19th century, Henri Poincaré was born on 29 April 1854 in Cité Ducale neighborhood, Nancy, Meurthe-et-Moselle into an influential family. He made a series of profound innovations in geometry, the theory of differential equations, electromagnetism, topology, and the philosophy of mathematics. He is often described as a polymath, and in mathematics as “The Last Universalist,” since he excelled in all fields of the discipline as it existed during his lifetime. Educated first at École Polytechnique and then at École des Mines, he started his career at the University of Caen as a junior lecturer in technical mathematical analysis. After writing his first major paper, he established himself as an eminent mathematician at the age of 27. Thereafter, he moved to the University of Paris as an Associate Professor of Analysis, remaining with it until his death, occupying number of important chairs. Concurrently, he also worked for the Ministry of Public Service and for a short period taught at École des Mines. In spite of such a busy schedule, he published a huge volume of works, including his seminal mathematical paper, ‘Analysis Situs’, which provided the first systematic treatment of topology. Later, he used his literary skills to popularize mathematics and science among the general masses, writing three popular books, ‘Science and Hypothesis’, ‘The Value of Science’, and ‘Science and Method’. As a mathematician and physicist, he made many original fundamental contributions to pure and applied mathematics, mathematical physics, and celestial mechanics. He was responsible for formulating the Poincaré conjecture, which was one of the most famous unsolved problems in mathematics until it was solved in 2002-2003 by Grigori Perelman. In his research on the three-body problem, Poincaré became the first person to discover a chaotic deterministic system which laid the foundations of modern chaos theory. He is also considered to be one of the founders of the field of topology. He died at an early age of 58. 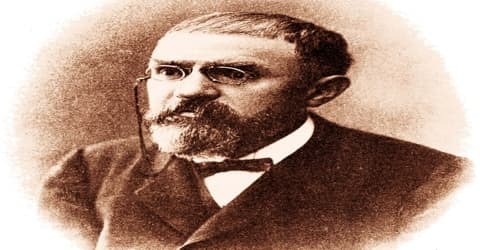 Henri Poincaré, in full Jules Henri Poincaré French: ɑ̃ʁi pwɛ̃kaʁe), was born on 29th April 1854 in Nancy, at that time an important town in the Lorraine County in France. Today it is the capital city of the French Department of Meurthe-et-Moselle. His father Leon Poincaré (1828-1892) was a professor of medicine at the University of Nancy. His younger sister Aline married the spiritual philosopher Emile Boutroux. Another notable member of Henri’s family was his cousin, Raymond Poincaré, a fellow member of the Académie française, who would serve as President of France from 1913 to 1920. He was raised in the Roman Catholic faith. At the age of five, Henri was inflicted with acute diphtheria, which caused temporary paralysis of legs and soft palate; leaving him unable to speak or walk for several months. But during this period, he also developed an auditory perception, which enabled him to associate colors with sound. It is possible that he began his education under his mother, learning to read and write at the age of six, soon excelling in written composition. Later, he studied with a private teacher, who introduced him to mathematics. A very intelligent boy with a strong memory, he had to read a book only once to be able to recall on which page any specific line could be found. Although music was not his strong point, he loved music and acting, staging plays with his cousins. In 1862, Henri entered the Lycée in Nancy (now renamed the Lycée Henri-Poincaré in his honor, along with Henri Poincaré University, also in Nancy). He spent eleven years at the Lycée and during this time he proved to be one of the top students in every topic he studied. He excelled in written composition. His mathematics teacher described him as a “monster of mathematics” and he won first prizes in the Concours général, a competition between the top pupils from all the Lycées across France. His poorest subjects were music and physical education, where he was described as “average at best”. However, poor eyesight and a tendency towards absentmindedness may explain these difficulties. Henri graduated from the Lycée in 1871 with a bachelor’s degree in letters and sciences. During the Franco-Prussian War of 1870, he served alongside his father in the Ambulance Corps. Henri Poincaré grew up in Nancy and studied mathematics from 1873 to 1875 at the École Polytechnique in Paris. From November 1875 to June 1878 he studied at the École des Mines, while continuing the study of mathematics in addition to the mining engineering syllabus, and received the degree of an ordinary mining engineer in March 1879. While a student, he discovered new types of complex functions that solved a wide variety of differential equations. This major work involved one of the first “mainstream” applications of non-Euclidean geometry, a subject discovered by the Hungarian János Bolyai and the Russian Nikolay Lobachevsky about 1830 but not generally accepted by mathematicians until the 1860s and ’70s. Poincaré published a long series of papers on this work in 1880-84 that effectively made his name internationally. 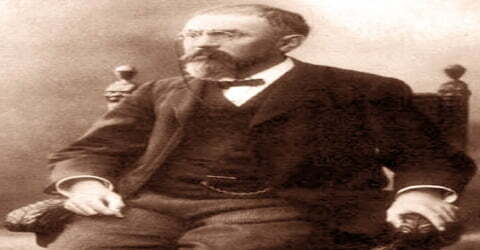 The prominent German mathematician Felix Klein, only five years his senior, was already working in the area, and it was widely agreed that Poincaré came out the better from the comparison. Henri Poincaré graduated from the University of Paris in 1879. On 20 April 1881, Henri Poincaré married Louise Poulin d’Andesi, whom he had met while he was employed at the University of Caen. Together they had four children: Jeanne (born 1887), Yvonne (born 1889), Henriette (born 1891), and Léon (born 1893). Henri Poincaré immediately established himself among the greatest mathematicians of Europe, attracting the attention of many prominent mathematicians. In 1881 Poincaré was invited to take a teaching position at the Faculty of Sciences of the University of Paris; he accepted the invitation. 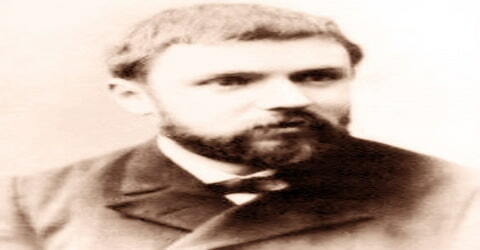 In 1881-1882, Poincaré created a new branch of mathematics: qualitative theory of differential equations. He showed how it is possible to derive the most important information about the behavior of a family of solutions without having to solve the equation (since this may not always be possible). He successfully used this approach to problems in celestial mechanics and mathematical physics. During the years of 1883 to 1897, he taught mathematical analysis in École Polytechnique. From 1881 to 1885, Henri was in charge of development of the northern railway. Eventually, he would become Chief Engineer of the Corps de Mines in 1893 and Inspector General in 1910. Meanwhile, from 1883 to 1897, he also taught mathematical analysis at École Polytechnique. In spite of Poincare’s busy schedule, his academic output did not diminish, leading to his election to the chair of Mathematical Physics and Theory of Probability at the University of Paris in 1886. Later, he also held the chairs of Physical and Experimental Mechanics and Celestial Mechanics and Astronomy. Henri Poincaré summarized his new mathematical methods in astronomy in Les Méthodes Nouvelles de la mécanique céleste, 3 vol. (1892, 1893, and 1899; “The New Methods of Celestial Mechanics”). Henri was led by this work to contemplate mathematical spaces (now called manifolds) in which the position of a point is determined by several coordinates. Very little was known about such manifolds, and, although the German mathematician Bernhard Riemann had hinted at them a generation or earlier, few had taken the hint. Poincaré took up the task and looked for ways in which such manifolds could be distinguished, thus opening up the whole subject of topology, then known as analysis situs. In 1887, at the young age of 32, Henri Poincaré was elected to the French Academy of Sciences. He became its president in 1906 and was elected to the Académie française on 5th March 1908. In 1887, Henri won Oscar II, King of Sweden’s mathematical competition for a resolution of the three-body problem concerning the free motion of multiple orbiting bodies. In 1892, Henri published his first volume of ‘Les Méthodes Nouvelles de la mécanique céleste’, one of his major works on celestial mechanics. He later published two more volumes on the subject, publishing the third volume in 1899. In 1893, Henri Poincaré joined the French Bureau des Longitudes, which engaged him in the synchronization of time around the world. Also in the same year, he started working on the theory of analytic functions of several complex variables, writing his first paper on the subject. In 1897 Poincaré backed an unsuccessful proposal for the decimalization of circular measure, and hence time and longitude. It was this post which led him to consider the question of establishing international time zones and the synchronization of time between bodies in relative motion. Henri Poincaré’s main achievement in mathematical physics was his magisterial treatment of the electromagnetic theories of Hermann von Helmholtz, Heinrich Hertz, and Hendrik Lorentz. His interest in this topic which, he showed seemed to contradict Newton’s laws of mechanics led him to write a paper in 1905 on the motion of the electron. This paper, and others of his at this time, came close to anticipating Albert Einstein’s discovery of the theory of special relativity. But Poincaré never took the decisive step of reformulating traditional concepts of space and time into space-time, which was Einstein’s most profound achievement. Attempts were made to obtain a Nobel Prize in physics for Poincaré, but his work was too theoretical and insufficiently experimental for some tastes. In 1894, Henri started working on homotopy theory, which reduces topological questions to algebra by associating various groups of algebraic invariants with topological spaces. In his paper, he introduced the fundamental or the first group, distinguishing different types of 2-dimensional surfaces. About 1900 Henri Poincaré acquired the habit of writing up accounts of his work in the form of essays and lectures for the general public. Published as La Science et l’hypothèse (1903; Science and Hypothesis), La Valeur de la science (1905; The Value of Science), and Science et méthode (1908; Science and Method), these essays form the core of his reputation as a philosopher of mathematics and science. His most famous claim in this connection is that much of science is a matter of convention. He came to this view on thinking about the nature of space: Was it Euclidean or non-Euclidean? He argued that one could never tell because one could not logically separate the physics involved from mathematics, so any choice would be a matter of convention. Poincaré suggested that one would naturally choose to work with the easier hypothesis. In 1895, Henri published ‘Analysis Situs’, a seminal work on mathematics. Later, he published five supplementary papers on the subject, thus developing an early systematic treatment of topology and revolutionizing the subject by using algebraic structures, a work he completed by 1905. During this period, he also started writing scientific articles meant for laymen, trying to popularize the subject among them. These works, which conveyed the meaning and importance of science and mathematics in general terms, proved that he was equally gifted in literature. In 1899, and again more successfully in 1904, Henri intervened in the trials of Alfred Dreyfus. He attacked the spurious scientific claims of some of the evidence brought against Dreyfus, who was a Jewish officer in the French army charged with treason by colleagues. 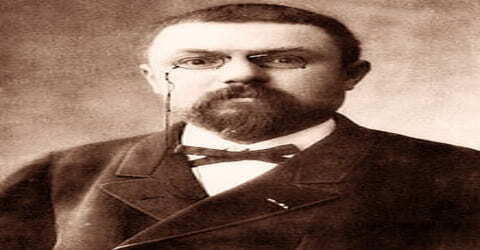 Henri Poincaré was the President of the Société Astronomique de France (SAF), the French astronomical society, from 1901 to 1903. His often imprecise mathematical exposition, masked by a delightful prose style, was alien to the generation in the 1930s who modernized French mathematics under the collective pseudonym of Nicolas Bourbaki, and they proved to be a powerful force. His philosophy of mathematics lacked the technical aspect and profundity of developments inspired by the German mathematician David Hilbert’s work. However, its diversity and fecundity have begun to prove attractive again in a world that sets more store by applicable mathematics and less by systematic theory. Henri Poincaré did not win the Nobel Prize. This is because he worked mainly on theory and did not make any specific invention or discovery. Yet, between 1904 and 1912, he received a total number of 51 nominations. Among them, 34 nominations were for the 1910 Nobel Prize only. In 1887, in spite of not being able to solve the original problem, Henri Poincaré was awarded the prize in King of Sweden’s mathematical competition on three-body problem. In 1887, Henri was elected to the French Academy of Sciences, becoming its President in 1906. From 1901 to 1903, Henri was the President of the Société Astronomique de France (SAF). In 1900, Henri received Gold Medal of the Royal Astronomical Society of London. In addition, he also won Bolyai Prize in 1905, Matteucci Medal 1905 and Bruce Medal in 1911. In 1909, Henri was elected to the Académie française for his 1908 work, ‘Science and Method’. Henri was elected a foreign member of the Royal Society, London, in 1894, Royal Netherlands Academy of Arts and Sciences, in 1897, and American Philosophical Society, in 1899. An asteroid discovered by Louis Boyer on June 26, 1936, has been named ‘2021 Poincaré’ in his honor. In 1912, Henri Poincaré underwent surgery for a prostate problem and subsequently died from an embolism on 17th July 1912, in Paris. He was 58 years of age. He was buried in the Poincaré family vault in the Cemetery of Montparnasse, Paris. His funeral was attended by delegates from the University of Paris, the Académie française, the Académie des Sciences, etc. The Royal Society was represented by its secretary, Sir Joseph Larmor, and by the Astronomer Royal, Mr. F W Dyson. Apart from outstanding academics, important politicians including the President of the Senate and members of the ministry also attended his funeral. 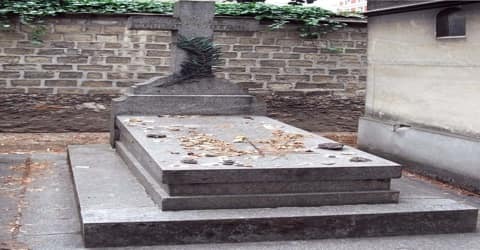 A former French Minister of Education, Claude Allègre, proposed in 2004 that Poincaré be reburied in the Panthéon in Paris, which is reserved for French citizens only of the highest honor. ‘La Science et l’Hypothès’ (Science and Hypothesis), first published in 1901, is one of Henri Poincaré’s most popular works. In this book, he talked about mathematics, physics, space, and nature in non-technical terms. He also declared that absolute truth is unattainable and many scientific beliefs are nothing but conventions. ‘La Valeur de la Science’ (The Value of Science), published in 1905, is another of his popular works. In the first part, he dealt exclusively with the mathematical sciences, laying stress on the relationship between intuition and logic while the second part deals with the links between physics and mathematics. ‘Science and Method’, published in 1908, is his third most popular book, written for the general public. Here he dealt with different issues of methodology such as selection of facts, calculation of errors and methods to compensate that error, etc. The book was translated into six languages. Most of Henri Poincaré’s original papers are published in the 11 volumes of his Oeuvres de Henri Poincaré (1916-54). In 1992 the Archives-Centre d’Études et de Recherche Henri-Poincaré founded at the University of Nancy 2 began to edit Poincaré’s scientific correspondence, signaling a resurgence of interest in him. In mathematics and physics, numerous ideas have been named after him. Among them are Poincaré Complex, Poincaré conjunction, Poincaré disk model, Poincaré duality, Poincaré group, Poincaré symmetry, Poincaré-Einstein synchronization, Poincaré-Bendixson theorem, Poincaré-Birkhoff theorem, and Poincaré-Birkhoff-Witt theorem, etc. A mathematics research institute in the UPMC Sorbonne Universités has been named Institut Henri Poincaré in his honor. It was inaugurated on 17 November 1928. A large lunar impact basin in the southern hemisphere on the far side of the Moon has been named ‘Poincaré’ after him.